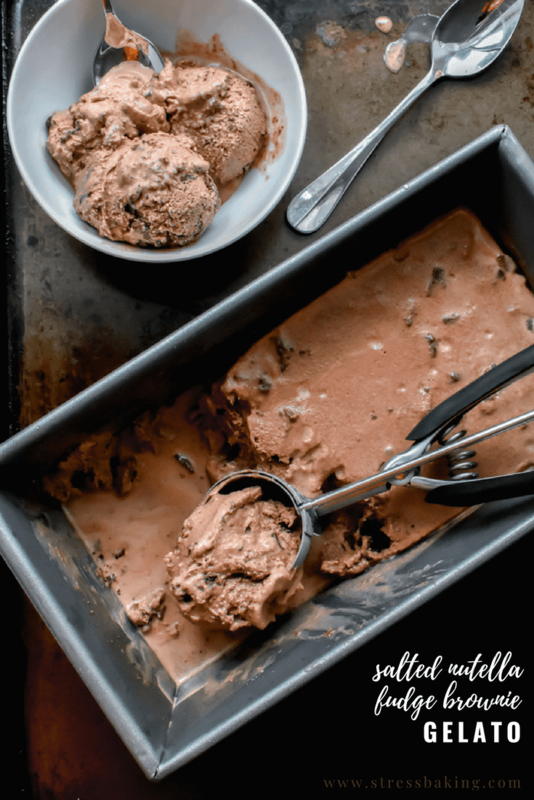 Rich, creamy gelato loaded with Nutella flavor, chunks of fudgy brownie bites and a hint of sea salt! 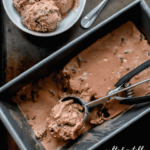 Everyone’s making all these fabulous strawberry recipes, eye-popping blueberry recipes, and beautiful fruity drinks… and then here I am, making a salted Nutella fudge brownie gelato. The heart wants what the heart wants, you guys. 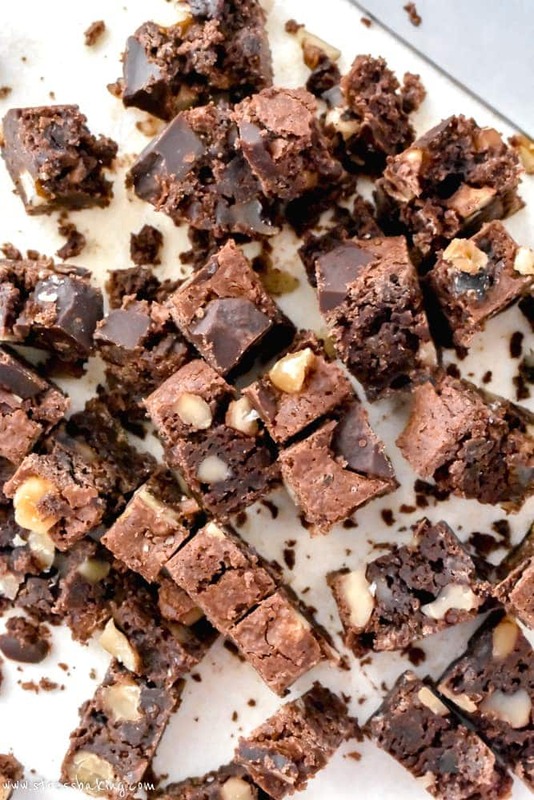 Truth be told, this recipe came about because I had a couple Vermont Brownie Company Walnut Chunk brownies in the pantry that I wanted to use in a recipe of some sort, instead of just inhaling them while sitting on the couch. 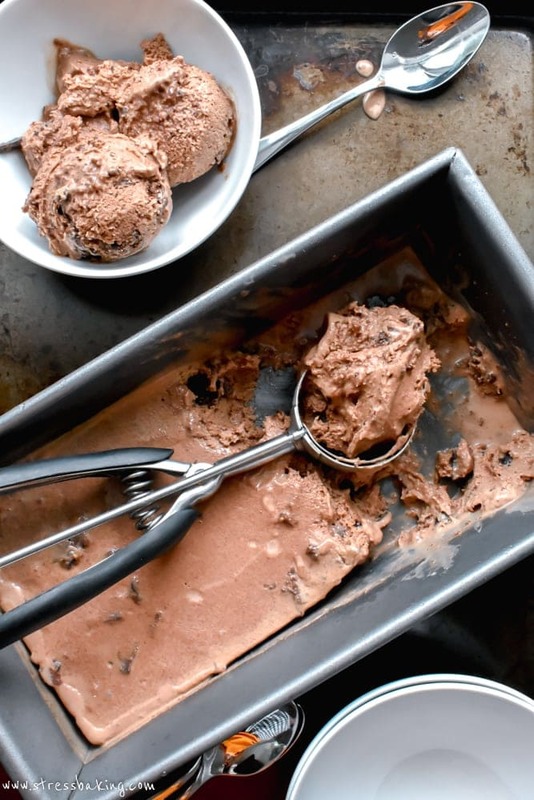 I just chopped ’em up and tossed them in at the end of the churning cycle to give this gelato more dimension and an extra chocolatey nutty bite. I just freaking love add ins. .. and also some chopped chocolate. I CAN’T DENY MY HEART WHAT IT WANTS. I’M SORRY. Penny wanted to eat it help, and didn’t really understand “No, chocolate’s bad for you”, “Don’t lick that bowl” or “Stop trying to eat the damn gelato”. Since this is gelato, it’s not as thick and fluffy as ice cream when you our it into your container. 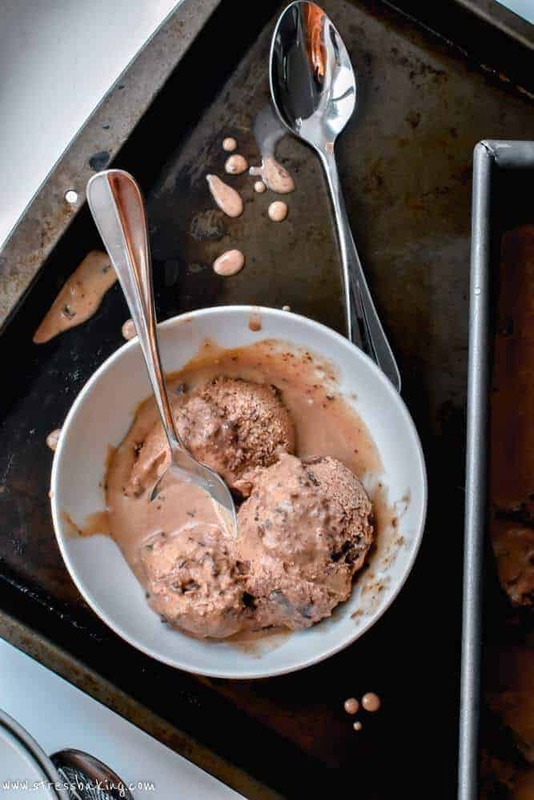 It’s about half the volume of a normal churned ice cream recipe, so just keep that in mind when you’re planning how many servings this might actually last you. For me? Probably three. Maybe four. But then again, “serving sizes” sort of mean nothing to me. One of the nice things about this is that you don’t need to worry about needing to let it sit out for a bit so that it softens a bit before you dig in – it’s ready and rarin’ to go straight out of the freezer. In a large bowl, combine Nutella and light brown sugar, and use a hand mixer to beat on low speed until just combined. Add half and half, heavy cream, vanilla and salt, and beat on low speed until completely combined and smooth. 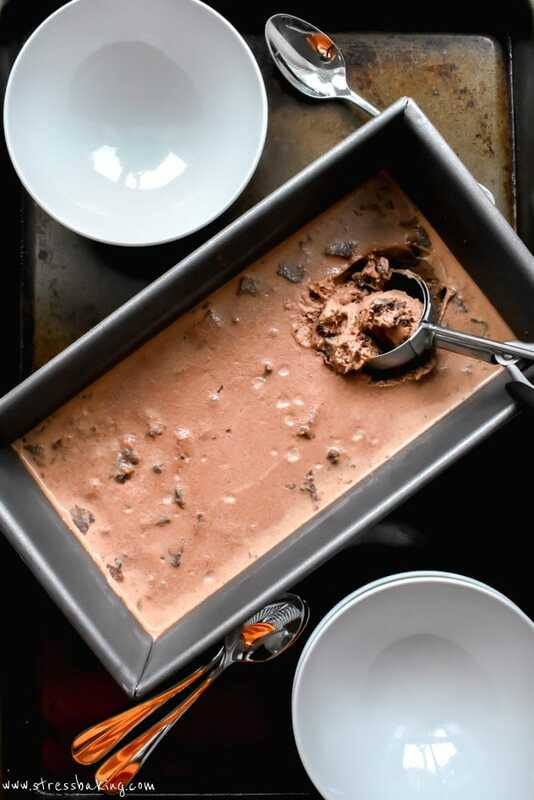 Pour into prepared ice cream maker and let it stir on low speed for 20 minutes. Add chopped brownies and chocolate and let stir for another 2-5 minutes until combined. Pour into prepared pan (top with another sprinkling of salt, on top if desired) and freeze for at least four hours. Wow…that is a decadent flavour combination you have going on there. You can’t get ice cream like this in the store. What a delicious summer treat. Sister, you are speaking my language! Absolutely loving everything about this ice cream!!! Woahhh! This looks amazing! 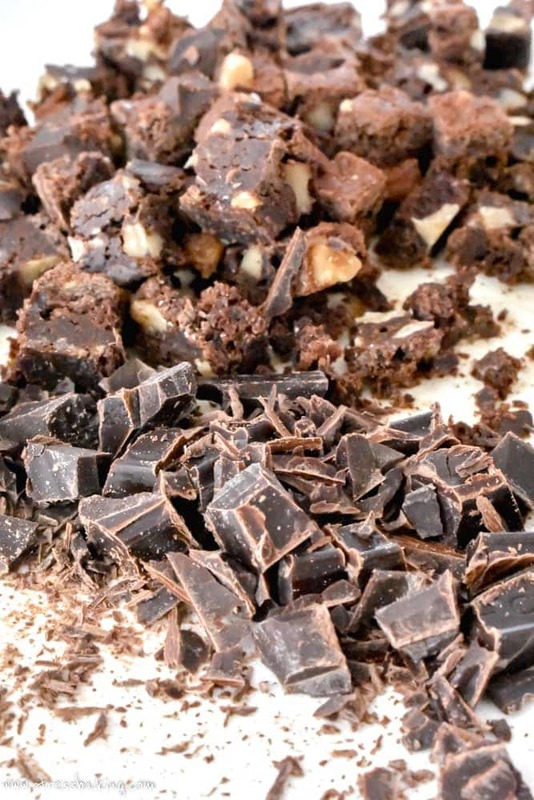 A love adding a pinch of salt to sweet desserts and especially chocolate desserts to really bring out the flavour ! 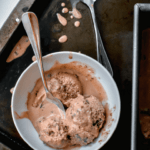 This ice cream is a must-try! Yo, I would take gelato over anything strawberry right now!! Uh first of all… yum!! And when you have a dessert like this who needs all of that fruity stuff! Amazing. 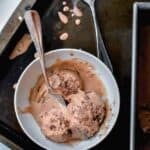 I would’ve never thought to use Nutella in gelato! I left out the brownies because I didn’t have any on hand. Next time, I’ll be ready! This is one of those recipes that kinda makes me want to just faceplant into my computer screen. Nutella? Brilliant. Those brownie chunk add-ins? Even more brilliant! This is basically the definition of indulgence! And your photos are absolutely gorgeous. 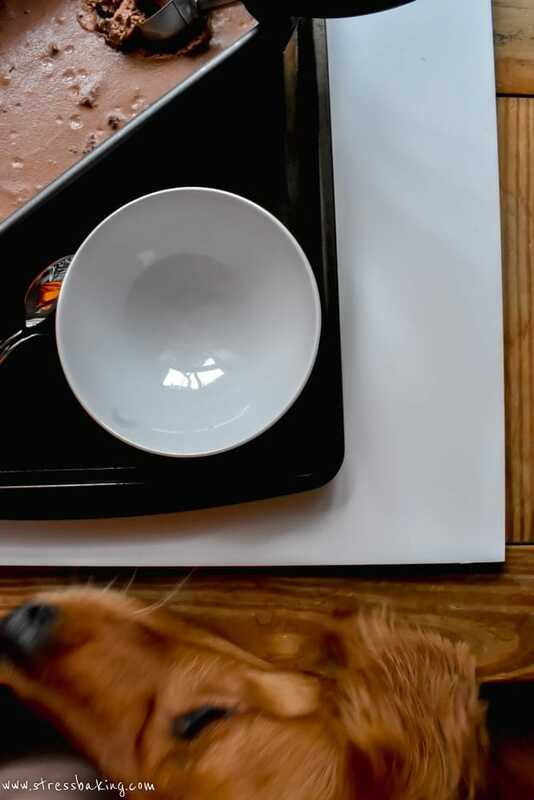 Great post (except maybe for poor Penny)! Oh, my, my family would go for that so fast… They’re all about ice cream here and that’s so rich and good! This looks amazing, and I’m out of nutella. I love gelato, and I love frozen desserts (icecream, gelato, or sherbet) that have chunks in them. I am buying nutella this week at the store, and then, I am making this. Wow, this is so rich and full of flavors, brownie, Nutella, and dark chocolate are what dreams are made of. Oh my gosh! 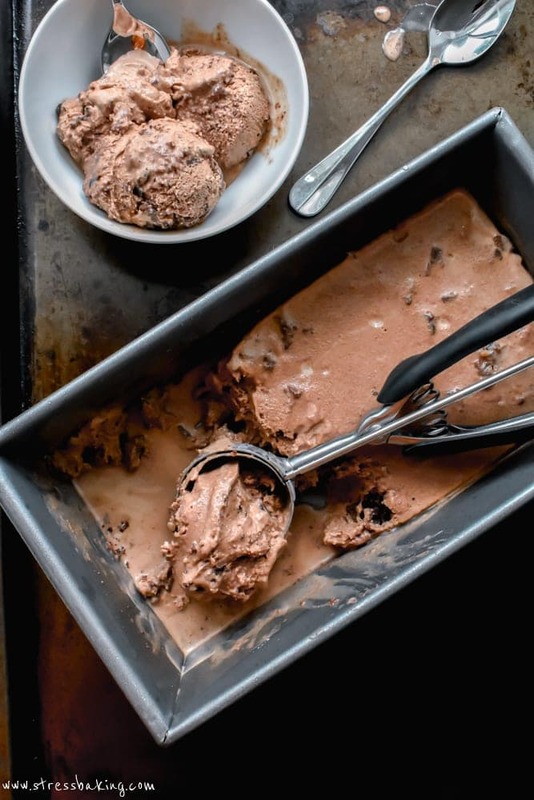 Those chunks of brownies in the ice cream…Uhm sign me up! Oh my. This looks totally decadent. I love the combination of flavors in this gelato! I bet it tastes even better than the gorgeous photos!